The Seagrape Cafe at 1144 Reef Road in Fairfield, Conn., formerly managed by Robert Manere. BRIDGEPORT - An area hot dog entrepreneur, accused of embezzling from the Fairfield Beach landmark the Seagrape Café, has been ordered to pay the café’s owner nearly $200,000. Following a hearing, Superior Court Judge George Thim ruled that Robert Manere’s explanation that he used the money to pay his car loan, health insurance, credit cards and loans did not justify him taking money totaling $190,463.03. “We thank Judge Thim for his thorough and well-reasoned decision. We look forward to recouping the misappropriated funds as soon as possible so that the business will be even stronger,” said Alexander Schwartz, who had sued Manere on behalf of Peter Collins, the owner of the Seagrape. 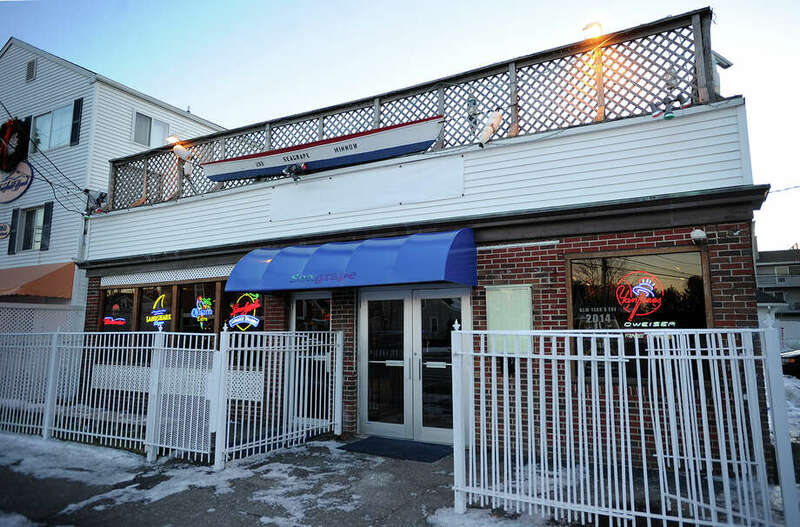 Beside being a former partner and manager of the Seagrape, Manere owned and operated the Swanky Franks hotdog chain for 18 years and currently owns Dogtown in Milford. His lawyer, Alan Spirer, said he has filed an appeal of Judge Thim’s ruling with the state Appellate Court. No criminal charges were filed against Manere. Manere and Collins, who graduated from high school together, decided while attending their 13th class reunion to buy the Seagrape, a popular fixture on the beach with locals and college students. In April 2011, they formed the company BAHR LLC with Collins contributing $150,000 and Manere kicking in $20,000 to the venture, according to court records. They agreed that Manere would manage the café because Collins was busy at the time running a Manhattan night club. On Oct. 29, 2012, Superstorm Sandy forced the café to close for repairs. But despite an agreement, Manere took cash from the business during the recovery period, giving himself a raise in cash and using company funds for personal and family expenses, the lawsuit states. In March 2017, Collins fired Manere as manager and changed the locks on the Seagrape. Collins then took over as the café’s manager, court records state. Manere subsequently sued Collins for breach of contract and Collins sued him. “The managerial actions taken by Collins were reasonable in light of Manere’s having used BAHR funds to pay personal expenses,” the judge ruled.